So, what makes the Galapagos Islands an almost mythological destination of biodiversity? The answer would have to be it’s isolated volcanic islands and fragile ecosystems. The Galapagos is mainly comprised of 61 volcanic islands of divine beauty that stretch along the equator in the Pacific Ocean. With a Galapagos Islands yacht charter, you’ll embark on an unforgettable journey through this unique and fascinating ecosystem. The Islands have huge marine reserves with an archipelago situated roughly 1,000 kilometers from the Ecuadorian Coast in South America. Geographically, the Galapagos Islands lie at a point where three ocean currents merge, making it the richest marine ecosystem in the world. The Galapagos Islands are known as ‘the living museum and showcase of evolution’. Galapagos is all about experiencing nature on land and underwater. These Islands are geologically young, naturally beautiful, and enriched with an exotic collection of flora and fauna. You will experience amazing wildlife such as whales, dolphins, fur seals, marine iguanas, and frigate birds. What’s more, you’ll have the unique opportunity to swim and snorkel with sea lions and penguins. The north beach with ample opportunities for snorkeling and swimming. Wildlife viewing, such as: Galapagos penguins, white-tipped sharks, green sea turtles, and stingrays. Wildlife viewing, such as: sea lions, pink flamingos, pelicans, blue-footed boobies,…and more. Amazing wildlife, such as: Galapagos tortoises, penguins, tropical bird species, marine iguanas, Darwin’s finches, and cormorants. Los Tuneles is only a 30-minute boat ride from Puerto Villamil. 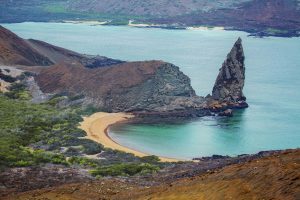 You will want to visit this alluring and outstanding destination on your Galapagos Islands yacht charter. Here you’ll enjoy snorkeling with: white-tipped sharks, manta rays, spotted eagle rays, green sea turtles, and seahorses in the shallows. The Galapagos Islands have it all! Satisfying both the thrill-seeker – who may enjoy snorkeling with playful sea lions and reef sharks – as well as the more contemplative type who appreciate sight-seeing, bird watching, and lounging on deck. 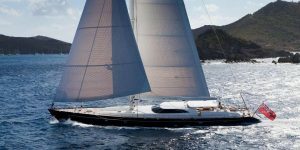 You will enjoy freedom and adventure beyond compare on a Galapagos Islands yacht charter arranged by Luxury Yacht Charters. CONTACT US today at 321-777-1707 to discover your Galapagos Islands yacht charter vacation!